The first Sicario movie was a brooding examination of the moral costs of revenge, the war on drugs, and perhaps the fate of the souls of Kate Mercer (Emily Blunt) and Alejandro Gillick (Benicio Del Toro). The ending let us know that as majestic and purposeful as one of those characters was, he was definitely going to hell when he died. That is one way to look at it. The other way to look at such things is the Old Testament way in which we show no pity and pay life for life, eye for eye, tooth for tooth, hand for hand, foot for foot until revenge's bitter cup is shared in full by everyone. The Old Testament has many tales of people taking righteous and not so righteous revenge upon people who harmed them or who just happened to be in the way of some divinely ordered smackdown. This "kill em all" way of thinking can often be justified by the "good guys"-just ask any survivor of the WW2 firebombings of Dresden or Tokyo about that-but usually in most mildly didactic entertainment there's a line that "good guys" don't cross, no matter how righteous their purpose may be. 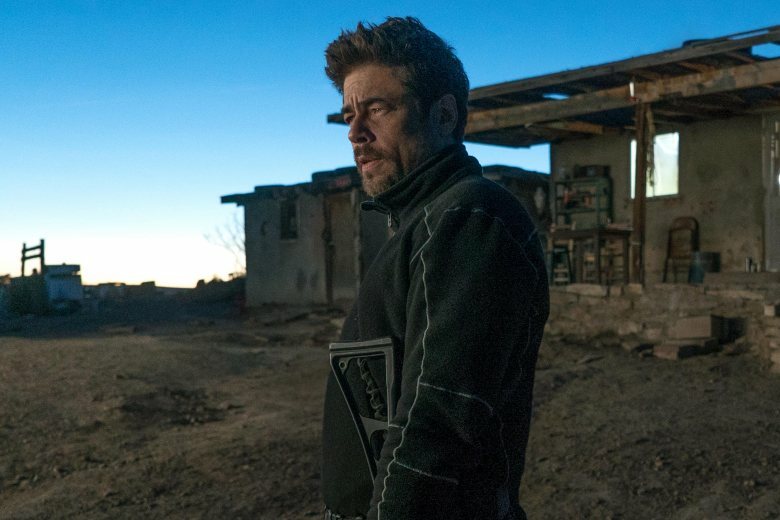 Alejandro crossed those lines in the first Sicario. He doesn't appear to need forgiveness or redemption. He made his choice. You might understand his choice or despair at his choice but there is no denying that the character knew what he was doing. Like Marv in Sin City, Alejandro decided that there are certain people or concepts worth killing for, worth dying for, and worth going to hell for. Period. So although Del Toro is cool enough to make watching a second movie featuring him an entertaining feature, ultimately the film is empty. We've already seen that his character will not shrink from the worst atrocity if he feels it will serve his purpose. It feels like a cheap trick to put the character in essentially the same spot he was at the end of the last film and ask will he or won't he? We already know he will. That came as a shock at the end of the first movie which is probably why Mercer and not Alejandro was the first movie's protagonist. 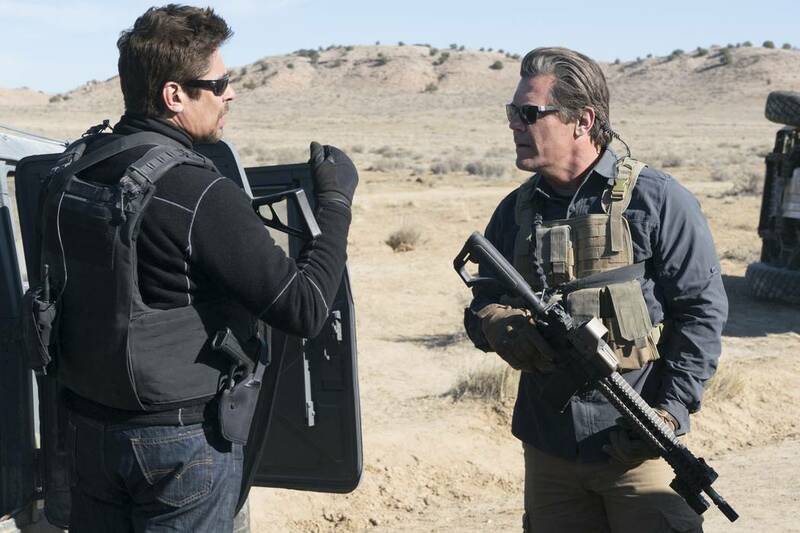 In this sequel the lead time is split between Alejandro and his CIA agent handler Matt Graver (Josh Brolin). Both men are casually brutal when they need to be but their callousness does not match that of their civilian masters, Defense Secretary Riley (Matthew Modine) and CIA Station Chief Foards (Catherine Keener). When Kansas City suffers an Islamic suicide bombing the military intelligence community gets evidence that Mexican drug cartels smuggled the perpetrators across the US: Mexican border. So the smart people who gave you the Iraq war decide that the best way to punish the cartels is to make them fight each other. To this end they kidnap the teen daughter Isabel (Isabel Moner) of the boss of one cartel and murder a bigwig in a different cartel. There's a lot of apparently realistic violence. 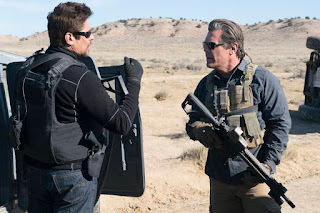 A subplot involves a low level cartel flunky who is corrupting his young cousin Miguel (Elijah Rodriguez) into the organized crime business of human smuggling. If you are looking for deep three dimensional characterization look elsewhere. Perhaps unintentionally(?) this movie endorses the clash of civilizations framework under which so much of the discussion of the US:Mexican border takes place. If you just like shoot 'em ups maybe this hits the spot but as a sequel it was unnecessary and occasionally contradictory. There was a point here somewhere about moral ambiguity but it was lost in the gunfire. The film's visuals impressed, especially the nighttime shots. The musical score is worth a listen.